Dear graduate of the University of Ljubljana, School of Economics and Business! 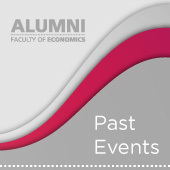 Alumni Faculty of Economics brings together graduates of the University of Ljubljana, School of Economics and Business (SEB LU) of all ages and we encourage you to join and keep in touch with the faculty and your colleagues free of charge. In the Alumni community, we are committed to building strong connections, transferring knowledge and sharing experiences through different activities and events. Join us and be a part of the largest community of economists in Slovenia. Let us cooperate with you even after graduation. Become a member of the Alumni EF. We sincerely look forward to meeting you at one of our future events! 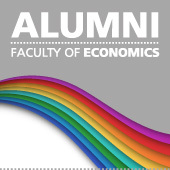 "The Faculty of Economics gave me an excellent base for my career. Cooperation with the faculty has been very good for many years. I am very pleased with SEB LU Alumni's progress in recent years and I believe that we will continue together to do lots good for you, our members. Keeping in touch, career advancement, upgrading of knowledge, sharing experience and networking are key to success. I invite you to participate and take advantage of the opportunities that we have created for you in the SEB LU Alumni. I wish you a lot of personal happiness and business success and look forward to meeting you at one of Alumni EF’s forthcoming events." 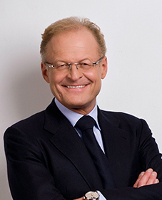 SEB LU ranks among less than one percent of the business schools in the world to hold two accreditations (European and American).